I have a specialist interest in hormonal health and mental well-being. Hormones are the drivers of good health as they balance brain and organ function. Every system of our body is under the control of or associated with one or more of the 50 hormones circulating through our bodies. As a Naturopathic Practitioner and Educator, I work with my clients to help them attain their best possible health and vitality as well as sustaining it. But what I am really passionate about, is showing my clients how they can turn their health around and enjoy boundless energy. 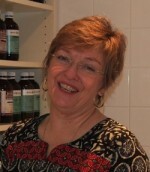 Wellness Rocks was established 17 years ago but I have been in clinical practice since 1997. 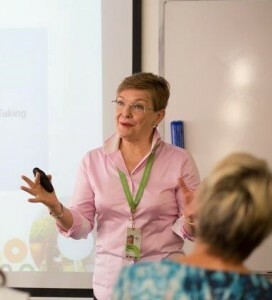 Other aspects of my work are conducting Mental Health First Aid courses, public speaking, lecturing and educating students in Universities and Colleges, which I’ve done for the past 16 years and this really keeps me at the cutting edge. A first consultation involves taking your case history and any relevant tests required to fully assess you as an individual. Many of my successful outcomes are achieved through nutrition – making food your medicine, coupled with diet management and lifestyle considerations, herbal medicine or perhaps some yoga therapy. All clients are treated as individuals and as such all naturopathic health care treatment plans and prescriptions are personally tailored to there needs. I have an upbeat and informative style, I focus on long-term wellness, which I know is the key to complete well-being.